I was interested to find that you can buy ready made text blocks that just need ‘casing in’ and thought I would give it a go. It does make the whole process easier but I have to say that I’m disappointed with the result. 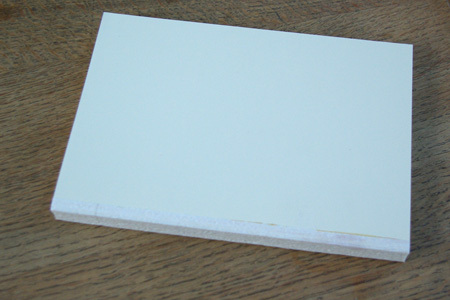 The finished book looks a bit bland because the cover lining paper is plain cream so you don’t get the colourful ‘zing’ from a choice of nicely contrasting papers. The book cloth spine and the cover papers make opportunities for contrast, I suppose. It’s a nice enough book but not an experiment I shall be repeating. 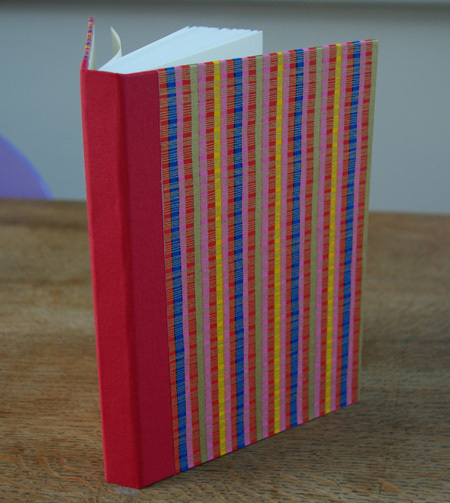 The text blocks are available as address books and album inserts and I think as diaries, so it would be useful in these instances but on the whole I prefer the handmade look of books I have sewn by hand and I also get much more satisfaction doing it ‘properly’. This felt like cheating! it looks impressive to me Diane…..love the stripes…the paper looks like seer sucker fabric in the photos…..very effective with the red…. 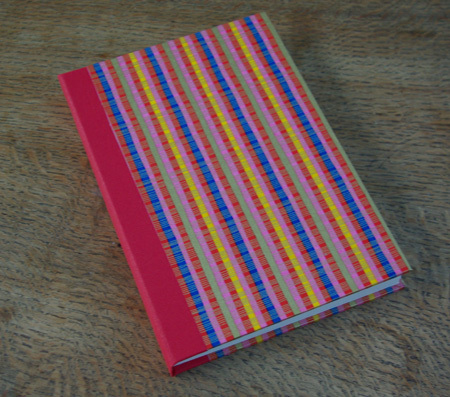 I suppose I can still be creative with the covers – even if the inside is a bit of a cheat! Some folks might prefer the machine made innards to my home made efforts! it looks great! but i do understand the hesitation. Thanks! I’m glad you agree. 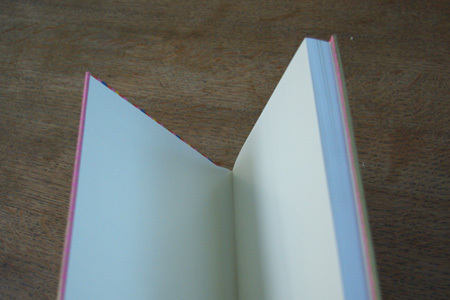 You can’t really call it a ‘handmade book’ if a machine has made half of it either! It’s actually a ‘handmade cover’!